Laguna Art Museum celebrates 100 years as a community hub and symbol of the area’s past, present and future. When you set foot on the caramel-colored wood floors of the Steele Gallery at Laguna Art Museum, you are, in effect, taking a step back in time. The space remains largely unchanged from its original design, a simplistic, well-lit room perched on Cliff Drive that was made possible thanks to the Laguna Beach Art Association, a group of local artists that banded together nearly a century ago, in 1918, to show and sell their work—and eventually established the museum in 1929. Today, pieces by California artists and artwork depicting the state are displayed, just as they were when the museum first opened its doors. Below, in the basement, large tiles are engraved with the names of the artists and other residents whose donations paid to finish this lower level’s dirt floor in 1934. There are few other places in town that so intimately connect the present to the past, and, more specifically, to the people who helped shape the town into the artists’ colony and community that it is today. 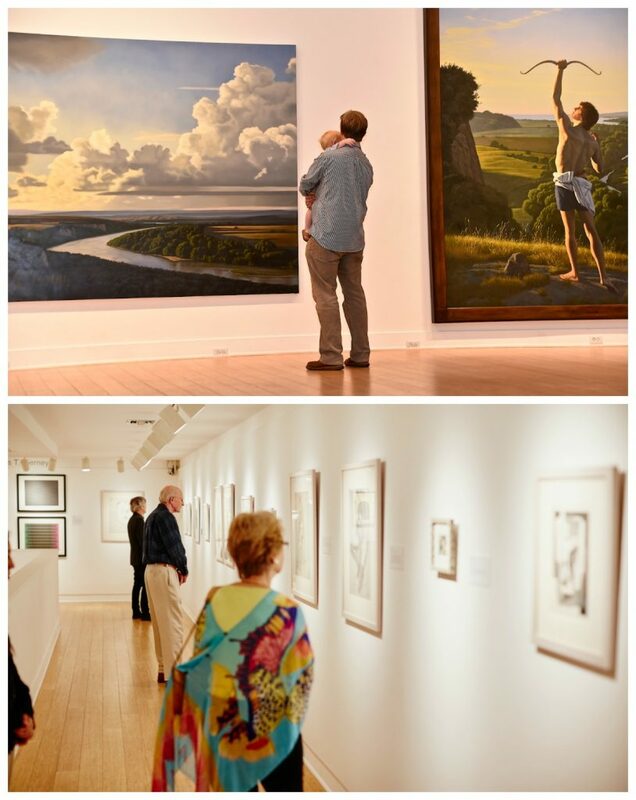 With a litany of festivities planned in 2018 in honor of the birth of LBAA, to which the museum traces its roots, there are countless opportunities for residents and art enthusiasts alike to learn about and celebrate the vibrant institution that has grown and flourished in step with the city through the years. Showcasing works by California artists and pieces that depict the state, Laguna Art Museum is also a family-friendly cultural center for the community and an anchor of the local art scene. Though it could easily be missed, a handmade, 28- by 36-inch model cottage rests near a staircase in the museum’s basement—just steps from the tile flooring that denotes the names of the people who helped complete the building. But, it’s arguably one of the most important pieces in the museum today, as it captures the very scene that made the museum possible and put Laguna Beach on the map as an artists’ colony. If you peer inside the windows of the little structure, intended to resemble the board-and-batten cottage that was part of Hotel Laguna and used by the community as a town hall space in the early 1900s, you’ll see the likenesses of some of the founding members of LBAA, in figurine form: Edgar Payne, Emily White, Conway Griffith, Frank Cuprien, Anna A. Hills and William Wendt, among others. According to Janet Blake, the museum’s curator of historical art, the model was built in the 1930s to capture a significant scene from LBAA’s early days: It represents the room that the artists borrowed and transformed into a space to show and sell their work, and it even boasts miniature, original paintings by the founders. “They popped the windows out, opened the roof and put windows in it to create a skylight, and added burlap to the walls,” Blake says of the actual cottage, in which the artists hosted their first formal public art show on July 27, 1918. By that time, a number of impressionist and plein air artists had made their way to Laguna, settling here after becoming captivated by the scenic landscape, and the show drew a significant crowd: more than 2,000 people are estimated to have attended over three weeks. In fact, that first exhibition was such a big hit that the artists decided shortly thereafter to form a more official local art association. Nearly a month later, on Aug. 20, 1918, LBAA was founded with 150 charter members, over 30 of which were artists. 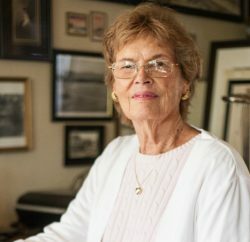 Payne, one of the earliest artists to paint in the area, became the group’s first president, and Hills, who would become a key leader of the organization and of Laguna’s art scene in the decades that followed, was named the first vice president. In many ways, LBAA, from day one, created the blueprint for the gallery to officially become a museum—which finally happened in 1972—and for many other community organizations as we currently know them. “LBAA [members] offered the community events and experiences such as concerts and lectures, just as we do today,” Warner say. “[And] they branched out. In 1932, working with the Chamber of Commerce, they started the Festival of Arts. They were both practicing artists and art teachers, and in 1961, they founded the art school in the canyon that became the Laguna College of Art & Design,” Warner adds of the association’s lasting local impact. 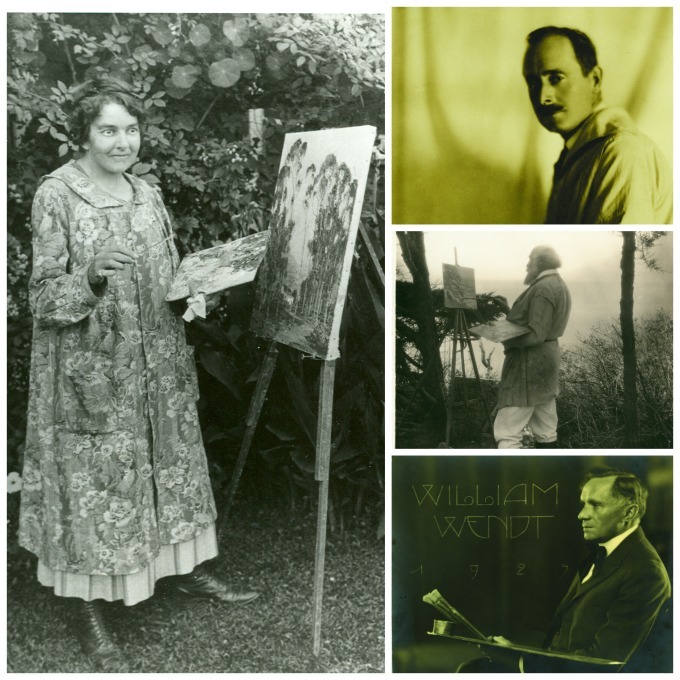 Early Laguna artists involved with founding Laguna Art Museum included Anna A. Hills, Edgar Payne, and Frank Cuprien. In the mid-1900s, as LBAA expanded its scope to include other artists’ work (in the beginning, it showcased exclusively that of its own members), it also began to acquire an impressive collection that would help it make the natural shift from gallery to museum. “The museum’s collection began with gifts from the estates of LBAA artists—first Anna Hills,” Warner says. “The bequest of Frank Cuprien in 1948 was a landmark. And, probably the museum’s most popular painting, ‘The Old Post Office,’ by Joseph Kleitsch, came to us in 1950. “The growth of the collection gathered pace from about that time on, largely through gifts from collectors,” explains Warner, who adds that the post-World War II period marked the clear transition from association to museum, with expansions to the building in 1950 and 1951 helping to solidify changes that led to the birth of Laguna Beach Museum of Art in 1972. (Note: The name was changed to Laguna Art Museum in 1986). Over the years, the institution has seen countless additions to its permanent collection— notably, renowned painter Wayne Thiebaud, known for his pop art depicting colorful pastries and other sweet treats, personally donated a selection of his work—and a litany of impressive exhibitions, all aimed at celebrating California art. But Warner and Blake agree that some of the highlights have been those exhibitions that pay homage to the early painters, such as the “In Nature’s Temple: The Life and Art of William Wendt” exhibition in 2008 and the “Miss Hills of Laguna Beach—Anna Althea Hills: Art, Education, Community,” show, curated by Blake in 2016. Those early artists will always be significant to the museum, not only because they founded it, but also because they helped ignite the community’s passion when it came to engaging with and supporting the arts—a sentiment that is still very much alive and well today. “The Laguna Beach Art Association, from which the museum sprang, was a community organization from the beginning,” Warner says. “It was run by artists, but it was never exclusive. 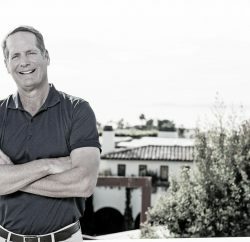 It included artists, art lovers and Laguna Beach residents who simply wished to be connected to the town’s center of social and cultural life,” Warner adds, noting that a 2016 grant approved by the City Council was “a wonderful expression of community support,” reminiscent of the very beginnings of the Steele Gallery. 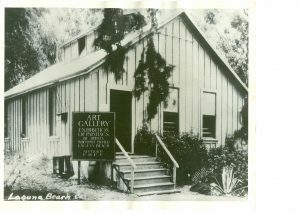 Laguna Beach Art Association’s first gallery was established in 1918 in this cottage rented from Hotel Laguna’s owner. The past will continue to thread its way through the museum’s present and future, especially when it comes to the celebrations that are in store for 2018. Specifically, February will feature a retrospective of Tony DeLap, a 90-year-old, celebrated artist based in Corona del Mar, who received the museum’s Wendt Award in October for his contributions to the California art scene. “… What better way to honor the local artists who started the LBAA and the museum than an exhibition devoted to one of their most illustrious successors,” Warner says of the centennial’s opening show. For obvious reasons, the “Laguna Beach Art Association: The Founders,” exhibition, which opens June 23 and is curated by Blake, is a must-see. “It’s the definitive exhibition about the heyday of the LBAA … ,” Warner explains. “It will be a rich and informative exhibition, showcasing the greatest artistic achievements of this remarkable group and providing much new information about their lives and work.” A special documentary film by Dale Schierholt titled “Laguna Art Museum at 100” is also included in the lineup of events. 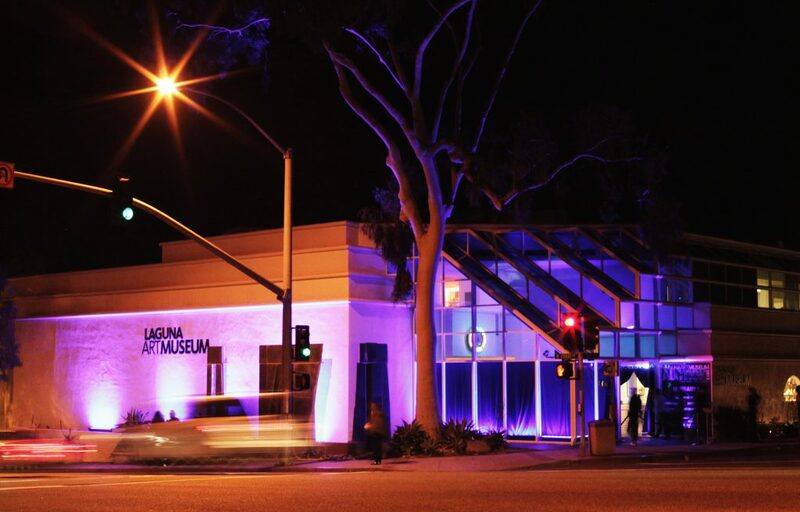 As for the future of the museum, patrons can expect to see improvements made to the building, thanks to the sizable grant, a brand-new website set to launch at the end of this year and continued collaboration with community organizations like Laguna Playhouse, the Boys & Girls Club of Laguna Beach and UC Irvine’s Illuminations initiative, which gives students greater access to museum offerings. More importantly, the museum will continue to roll out innovative, thought-provoking exhibitions, such as “California Mexicana: Missions to Murals, 1820-1930.” On display through Jan. 14, the show is “a type of exhibition, dealing with a theme rather than an artist or group of artists, that the museum has rarely presented before,” Warner notes. It’s part of the Getty’s “Pacific Standard Time: LA/LA,” project, a groundbreaking Southern California-wide initiative aimed at celebrating the roots of the art scene in Los Angeles and the influence of Latin American artwork. There is no shortage of festivities planned for the museum’s 100th birthday—and all are welcome to partake. Here are some of the highlights in store for 2018. As a kickoff to the year-long celebration, this celebration, which is geared toward younger attendees, will include art installations, live music and craft beer. Approximately 80 paintings, sculptures and drawings will be included in the retrospective exhibition of 90-year-old, renowned Orange County artist Tony DeLap, continuing through May 28. The museum will join the annual Laguna Beach Patriots Day Parade with a festive centennial-themed float. This special documentary film (showings of which will be included with museum admission) by Dale Schierholt chronicles the museum’s past, present and future. Get to know the LBAA artists in this celebratory exhibition, which both showcases some of their key works and illustrates the ways in which they helped develop the town. The display runs through Jan. 13, 2019. 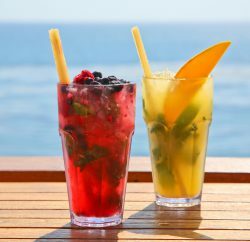 In honor of Laguna Beach Art Association’s official 100th birthday, the museum is offering free admission to the public, as well as family art activities, docent-led tours, special prizes and more. This exclusive, black-tie affair, held on the Festival of Arts grounds, will feature dinner, dancing and entertainment. For more information about Laguna Art Museum’s centennial, programming, and current and upcoming exhibitions, visit lagunaartmuseum.org/centennial.